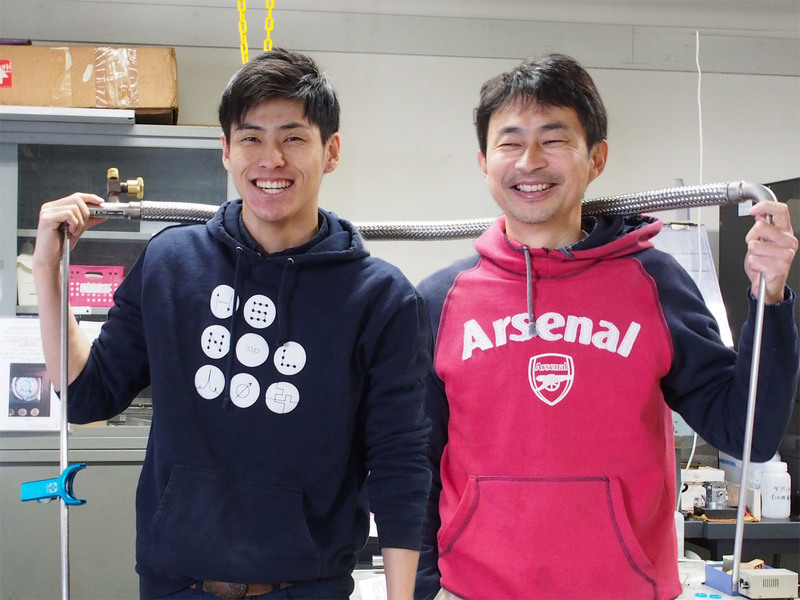 ISSP is located at the Kashiwa Campus, the University of Tokyo and has large experimental facilities which offers to utilize radiation at SPring-8 in Harima, Hyogo Prefecture and to utilize neutrons at both JRR-3 and J-PARC in Tokai village, Ibaraki prefecture respectively. The greenery Kashiwa campus includes research institutions in a wide range of area such as AORI (Atmosphere and Ocean Research Institute) including division of climate system research, Graduate School of Frontier Sciences for Environmental Studies, Biosciences, and Advanced Material Science, ISSP (the Institute for Solid State Physics), KAVRI IPMU (Kavri Institute for the Physics and Mathematics of the Universe), ICRR (Institute for Cosmic Ray Research), and RACE (Research into Artifacts, Center for Engineering). These institutions are all located in a straight line so called “Promenade of Knowledge”. Also, Kashiwano-ha park is located just in from of the campus. National Cancer Center Hospital East, Sawayaka Chiba Prefecture Plaza, Tokatsu Techno Plaza, Customs Training Institute, and National Research Institute of Police Science are in the vicinity area as well. Surrounded by these public and research institutions, this calm environment provides an ideal place for research on campus away from hustle and bustle of the city. Apart from these public facilities, there are variety of shops where you can enjoy shopping and meals at around Kashiwano-ha campus station, which area is developing every year. Likewise, Toyohuta and Edogawadai station area are other options to search for entertainment and private time. If your major field of study belongs to the Graduate School of Frontier Sciences (GSFS), you will take classes at the Kashiwa Campus (in many cases at the building next to ISSP). The wide subjects offered at the GSFS are rich and unique which you can only take here. We are also proudly able to connect you with the prominent faculty in solid state physics. 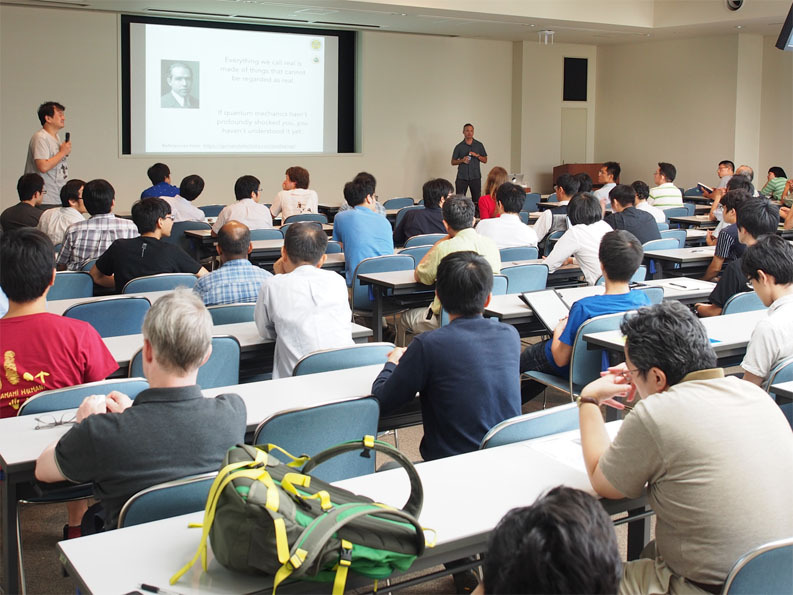 If you belong to either the Graduate School of Science or Engineering, you will basically take classes at the Hongo Campus, yet each graduate school / department has a system for students to earn credits mutually in Hongo and Kashiwa, therefore you are able to take lectures at the Kashiwa Campus. This system applies to those who majors in solid state physics. 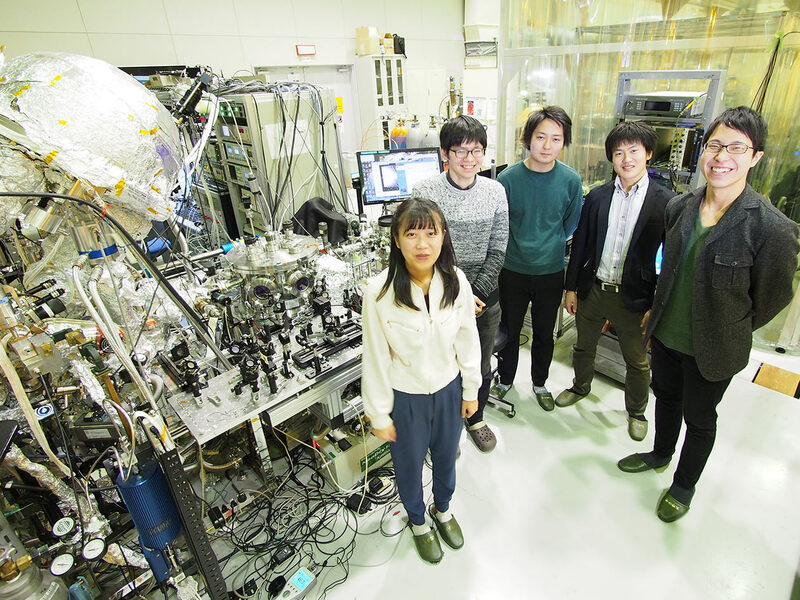 In case you will receive specialized lectures in the fields such as quantum theory and cosmology other than solid state physics, the Hongo Campus is the only option so far. A research environment at ISSP is excellent, surrounded by superb facilities. For instance, conducting experiments by using ultra high magnetic field that measures the spin correlation function with neutron scattering is possible in the event you have found the interesting quantum phase, or you could resolve the light emission as you’ve made a new quantum structure. Others would try angle-resolved photoelectron spectroscopy because an unusual surface condition was found. All these experiments can be done in-house and measurement in high pressure and cryogenic environment is also possible on site. The experts capable in using super computers which are one of the best in the country will support for your research and experiment. Our library is also rich as we have all kinds of journals, reference books and specialized books on condensed matter physics and lend these books all over the country. Notably, it is our great advantage to have both experiment and theoretical groups in the institute. 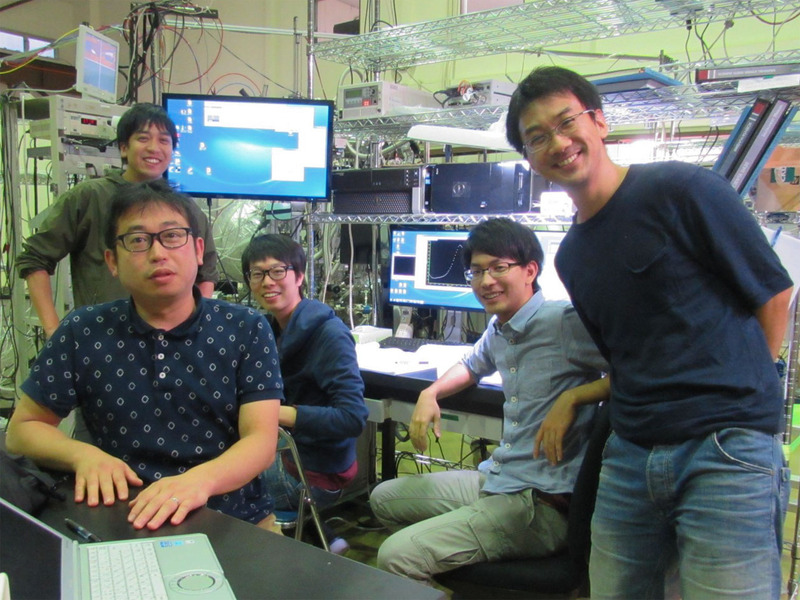 Students in the theoretical group are influenced by various stimuli such as mysteries that appear every day in the experiment, while students in the experiment group are benefited by cooperating with theorists and deeply cut through the mysteries. In the past, it was physically demanding due to data collection overnight not only in the field of solid state physics but in any fields. As a result, some researchers became sick especially when fierce research competition was undergoing for the discovery of high temperature superconductivity in 1980 's. Even now, you need to use your body to some extent, but we are now benefited from automatic measurement by the PCs and it is much less to burden on the body in unhealthy way. Works such as the all-night experiment are no longer prevailing. Not really, rather students are recommended to take balance between research / study and keeping health in a relax mood. 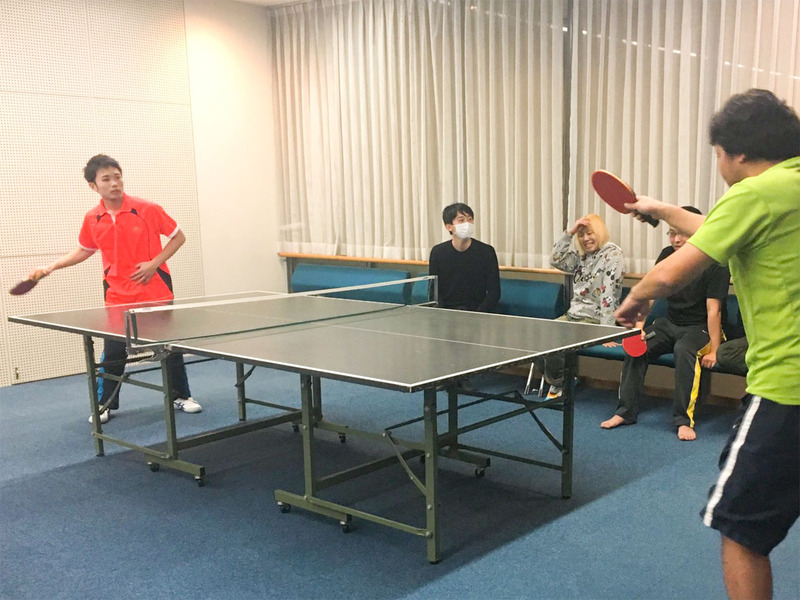 A gym facility and a table tennis table on the 6th floor of the main building at ISSP are available for your relaxing time and improving physical strength at any time. There are also a tennis court and a ground where people are playing soccer and running. Sports event such as bowling competition and festivals are also held. “I ♡ Cafe time” is held every Wednesday from 16:45 for social gathering at the entrance lobby in ISSP building and people mingle over coffees and some snacks. Not only for these casual and relaxing topics, they also talk about their own research. Often time, students are practicing on the pianos at the 6th floor of the main building. Other events include a beer party in early summer and a winter music concert for get-together purposes.